Neoclassical sculptor Emma Stebbins, was the first woman to receive a sculptural commission in New York City. She was one of twelve American women sculptors in the early 20th century acclaimed by both critics and public alike. Perhaps the most famous angel in present time, her Angel of the Waters has long been a beloved New York City icon and one of Central Park’s great attractions. The bronze, eight-foot statue depicts a female winged angel touching down upon the top of the fountain. Angel of the Waters was the only statue called for in the original park design. Beneath her, also created by Stebbins, are four-foot cherubs representing Purity, Health, Temperance, and Peace. Stebbins’ angel was created to memorialize the Croton Aqueduct, opened in 1842. A feat of engineering, this four acre man-made lake helped end the city’s deadly cholera epidemics (3,000 New Yorkers died in the summer of 1832) by providing its citizens with plentiful fresh water thus, the Angel carries a lily in one hand, for purity, and with the other it represents her blessing the water beneath her. The adventurous Angel of the Waters traveled the world before establishing her permanent residence atop the renowned Manhattan fountain. After designing the sculpture in 1863, Stebbins moved to Rome to model the figure. Sculptor and angel then traveled north to Munich for the final casting in bronze. In 1873, Angel of the Waters came home to provide the finishing touch to the peaceful oasis of the Water Terrace, today called the Bethesda Terrace, where gushing waters spill from her feet to replenish the pool below. Stebbins’ angel more recently provides an essential backdrop for movies, television programs, and commercials. In December 2003, she starred in the film version of Tony Kutchner’s Pulitzer Prize-winning play Angels in America. The opening scene of Angels in America was a long tight close-up of Angels of the Waters, in all her magnificence. Her divine guidance perhaps paved the way to an Emmy and five Golden Globe awards. 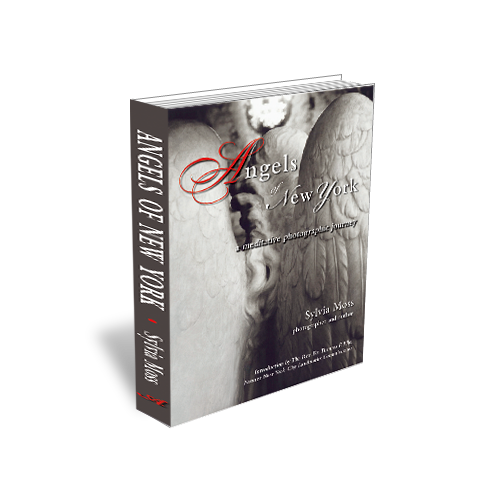 Author:”Sylvia Moss is a renowned fine arts photographer and author of the book “Angels of New York,” a stunning visual journey of the spectacular displays of angels that grace New York architecture. 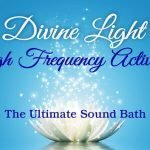 Sylvia brings her unique perspective as an international sound and energy healer to her work. She is passionate about helping people be well and transform with the healing energy of angels. Sylvia’s angels have been exhibited in many New York and US galleries, MoMA Wales, and private collections.